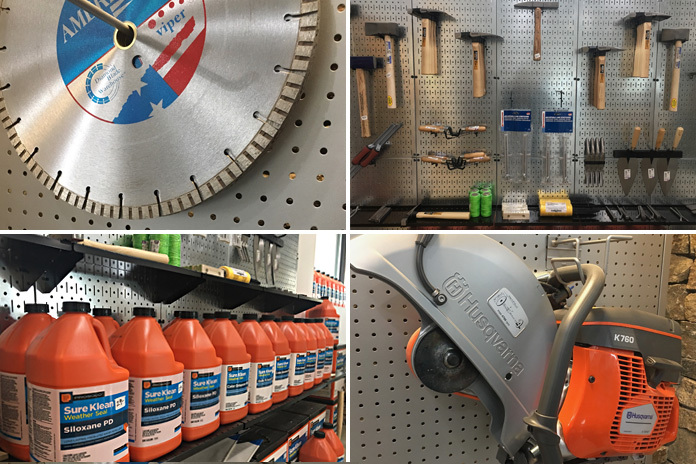 Homeowners and professionals alike will find many helpful tools and accessories in both of our showrooms. Homeowners and professionals alike will find many helpful tools and accessories in both of our showrooms. We are an official dealer of Husqvarna saws and we proudly carry T REX blades. You will also find trowels, mortar bags, chisels and hammers at both locations. If we don’t have it we will gladly order it for you from our family of vendors!